I think I’ve just discovered THE best beauty box out there. Introducing Cohorted. This beauty retailed was formed in 2014 in the UK and stocks high end beauty products. In addition to that, they launched their beauty box which is so highly demanded that when they go on sale, they’re literally sold out within an hour. If you manage to get your hands on one, then you are very lucky indeed. It certainly has the best value as it is priced £19.99 (exc p&p) and contains 4 full sized high end beauty products. The June box contained items with a combined total of £60. Now this is not like the other boxes where they say they have a value of x and the products are miniscule. These are full sized items people!! Already you’ve gained back the price of the box. This was a new brand to me however it is very similar to Urban Decay and has the same quality. Within the UK, you can purchase their products from Debenhams or of course online. 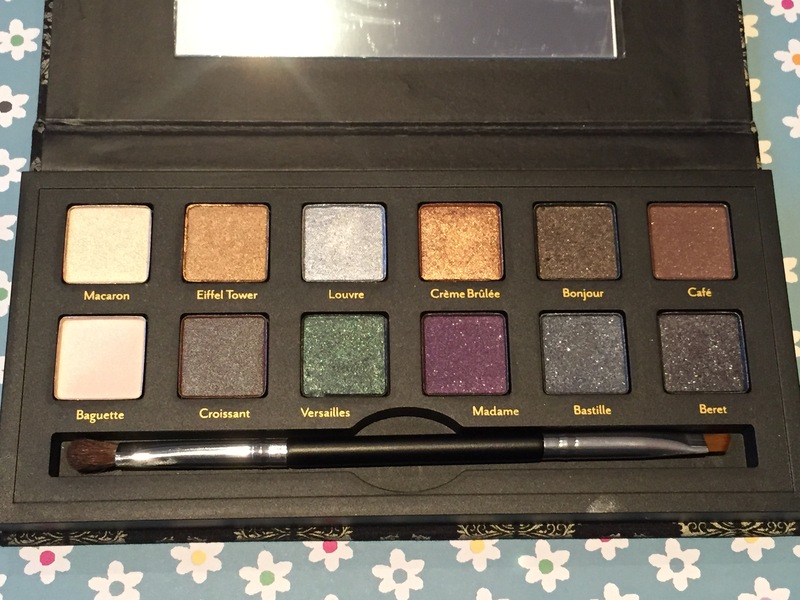 This palette contains 12 eye shadows all with French themed names. My particular favourite is “Crème Brulee” which is a gorgeous shimmery gold. They are long lasting and all colours work well together. Usually in palettes there’s the odd one or two shades that you would never use however I’ve been using this now for a week and I’ve used every single one. The packaging is quality high end as well. 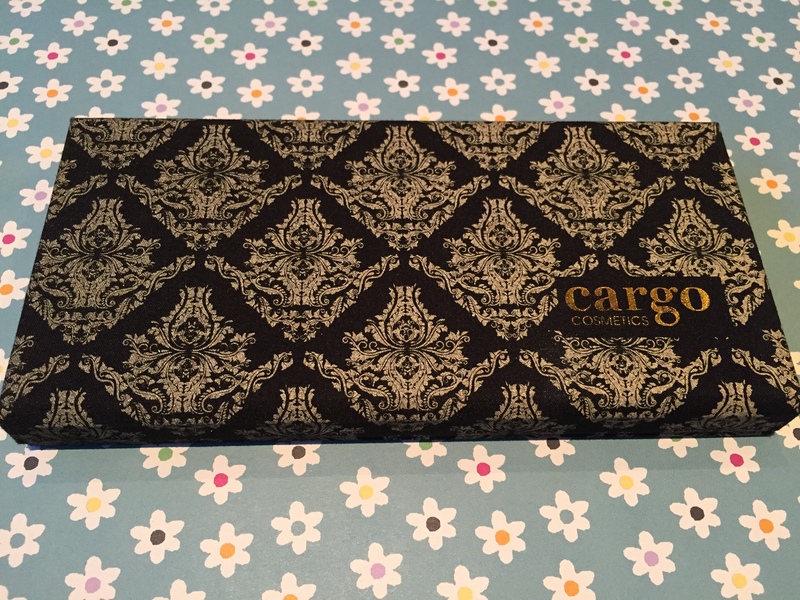 The box has a magnetic closure with a pretty black and white gold design. The dual brush is brilliant! It’s not often you can actually use the brushes included with eye shadows however this brush has a slanded end for precision and a fluffy brush on the other side for blending. Love love love!!! I received the shade light which is perfect for my pale skin. This is easy to apply and you can build the product up which is great to avoid looking orange. It gives a nice glow and is long lasting. I love the packaging on this too. It’s a metal tin which is so unique. Another winner! 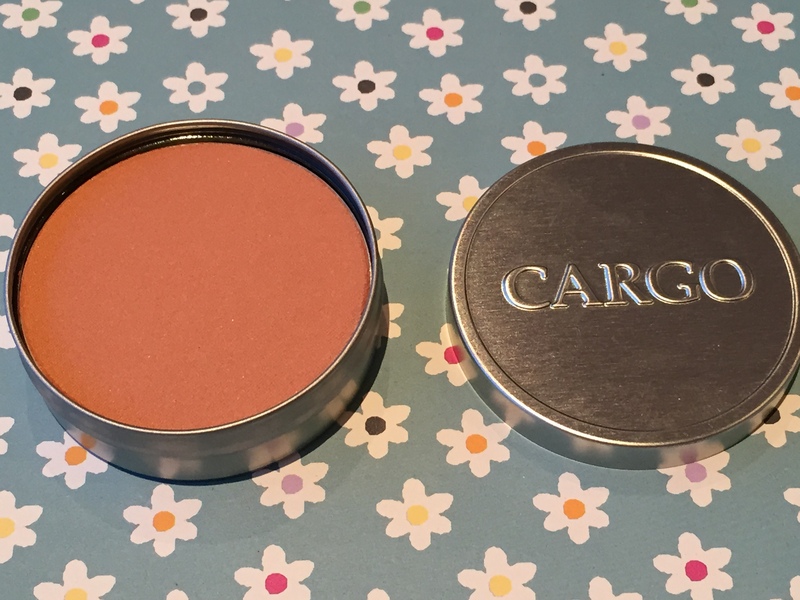 And I’m definitely going to have to look up Cargo to see what other products they have as this is so similar to Urban Decay. I received the shade Roarrange which is a nice Summery orange. I wore this yesterday with sandals when I headed off to Brighton beach and got lots of compliments on the colour. 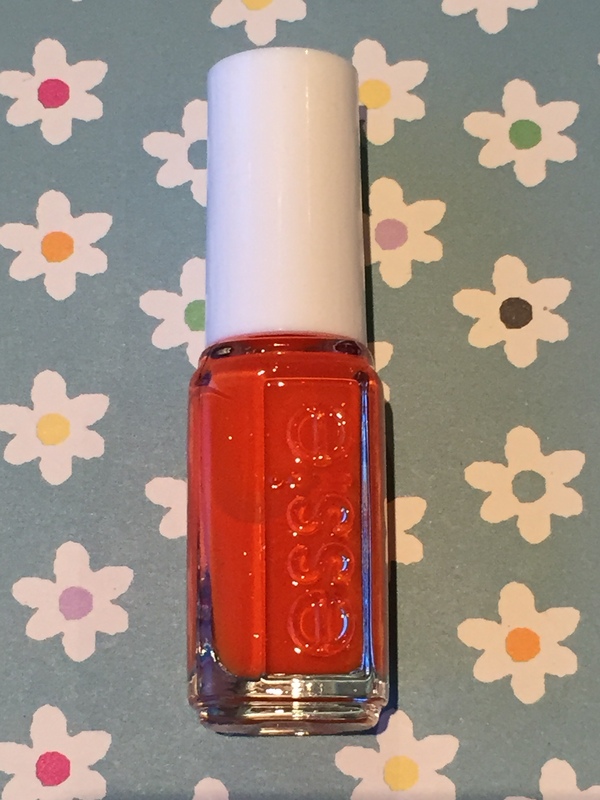 Essie is another great brand where their polishes are easy to apply and quick to dry. They are also long lasting and seem to chip less than any other brand that I’ve tried. This is the bonus fourth item. Some subscribers will have received a Mac eye shadow however as we’ve all received the eye palette, I’m glad I got something different. 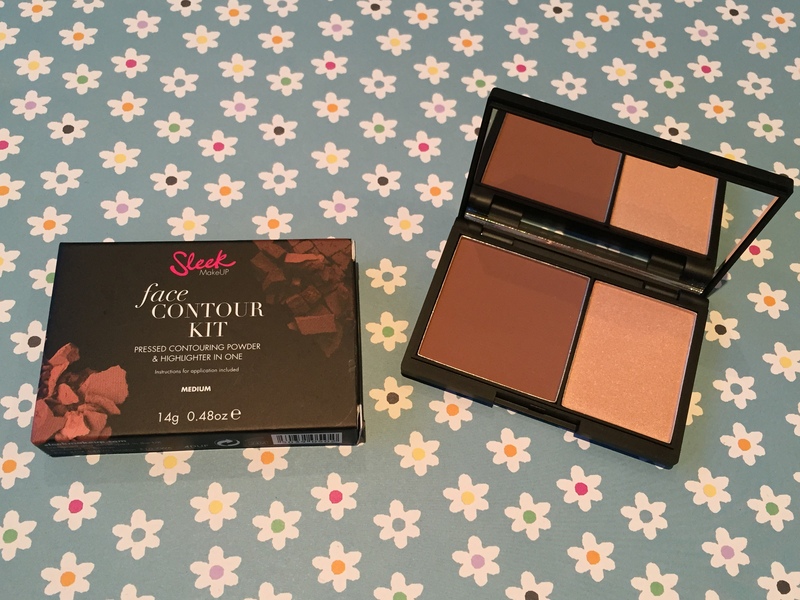 Plus for ages I’ve been wanting to try out contouring (I know, I’m late on this one) and have been meaning to pick up a kit for so long. So this has saved me the trouble. The packaging is pretty neat and contains a mirror, which is perfect for on the go touch ups. This is pretty easy to use once you get the hang of what to do and again it’s easy to build the colour if needed. Like I said before you have to be quick to get one of these boxes as they seem to sell out months in advance. However fear not, before the end of the year they are launching a subscription service so that we don’t have to go through the pain of constantly refreshing the page in the hope of getting one! Can’t wait for that. 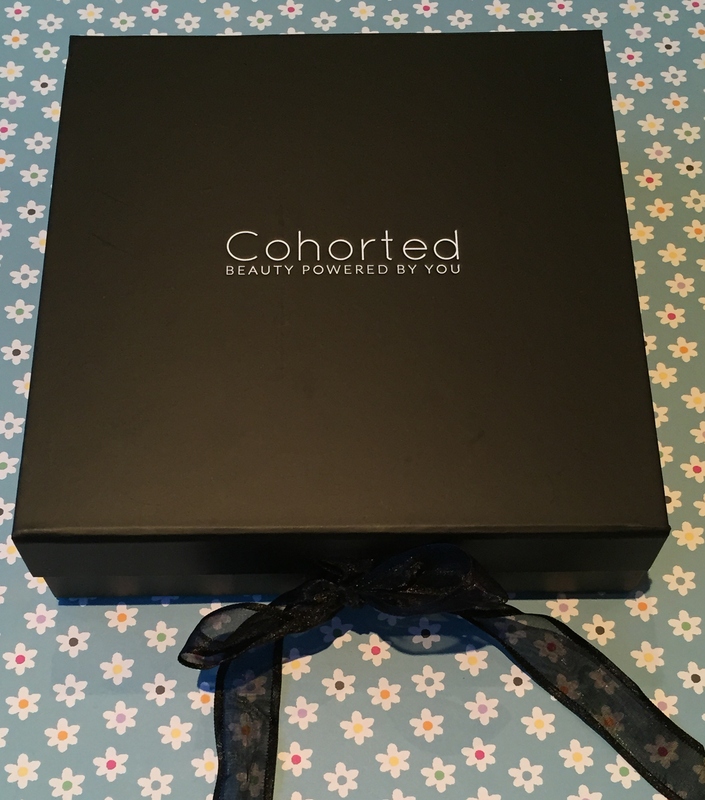 Have you guys ever heard of Cohorted or received one of their boxes? If so, let me know what you got and your thoughts on the products. This looks like such a great box! 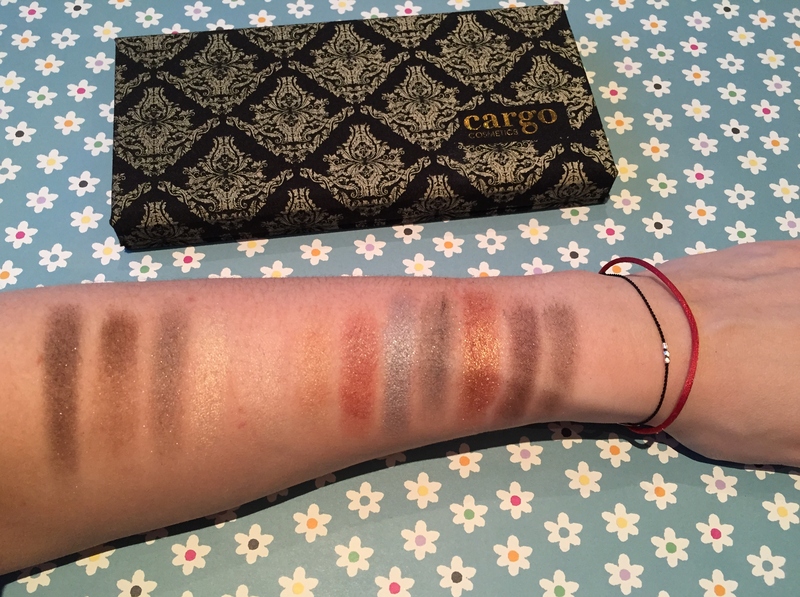 The eyeshadow palette is absolute perfection — half because of the colors themselves and half because of their names! I love Paris. I have enough eyeshadow that I really don’t need to buy any more, and none of those colors are unique to my collection….but I can’t help but lust after that palette! I’d love to see swatches sometime. What do you think of Birch Box? A friend advised me to get it.